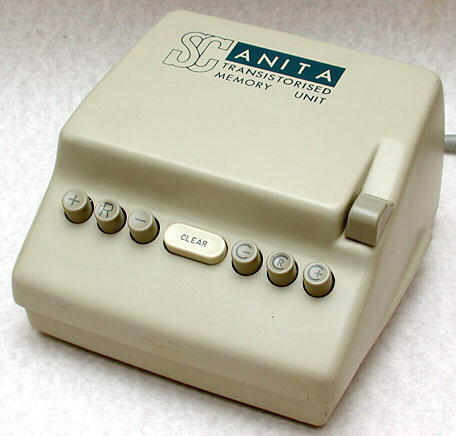 Plug-in Memory Unit for connection to ANITA calculators. 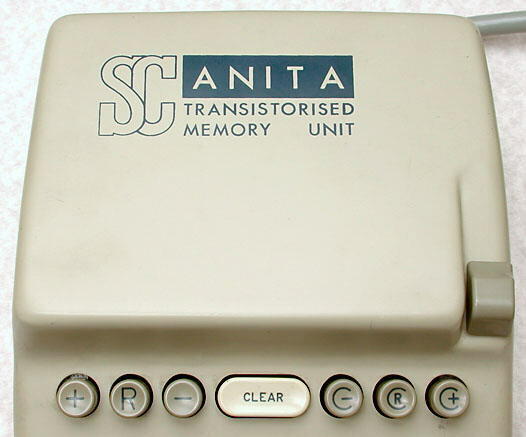 This memory unit was available as an optional extra to plug into some of the early ANITA models that were fitted with the necessary socket, which was probably also an option. 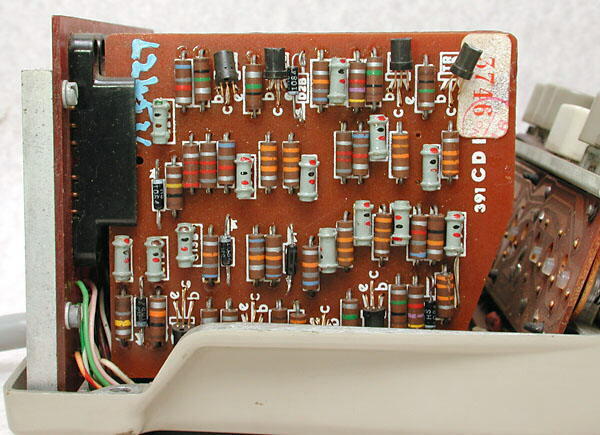 Rick Bensene has such an ANITA Mk 8 with a socket, which is illustrated on his Old Calculator Web Museum - see the page http://www.oldcalculatormuseum.com/anitaC-VIII.html. The unit is based on the die-cast casing of a "Plus Adder" mechanical calculator made by the company. See the Mechanical Calculators section of this site. 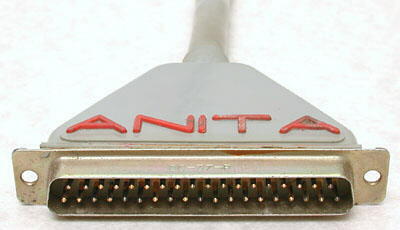 It connects via a cable and 37-way D-type plug to a connector on the rear of a suiatable ANITA calculator. Inside are 12 identical logic boards and one power supply board. Each logic board has 8 discrete transistors and associated components. The unit is probably capable of storing and recalling one number, or perhaps more. If you have further information about these units we would be very pleased if you get in touch. Size: 185 x 185 x 102 mm (7.3 x 7.3 x 4.0"). Close up of the keys and the name. The letters "SC" stand for Sumlock Comptometer Ltd. 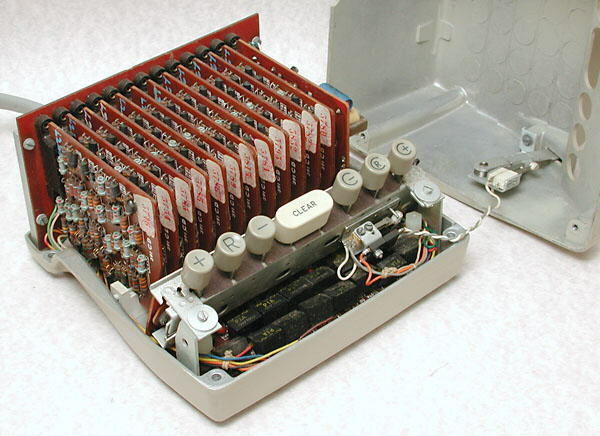 The 37-way D-connector which plugs into a mating connector on the back of the ANITA calculator. With the cover removed the circuit boards are revealed. There are 12 identical logic boards and, at the far right, a carry-store board. Close up of one of the logic boards. 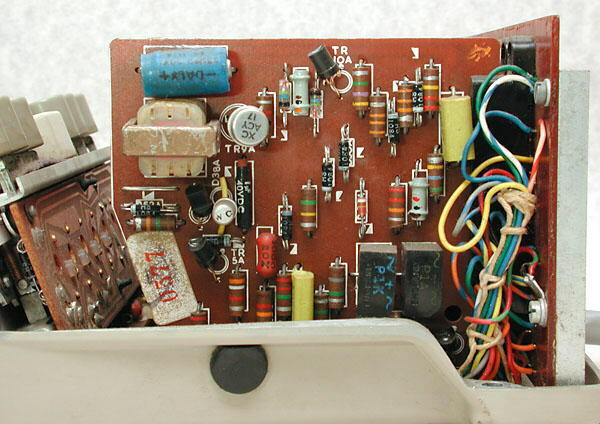 It carries 8 discrete transistors (black with 3 wires), diodes (small, black with white band), resistors (brown with coloured bands), and capacitors (grey with coloured spots). "Lamson Industries Limited", The Times, 2nd April 1965.